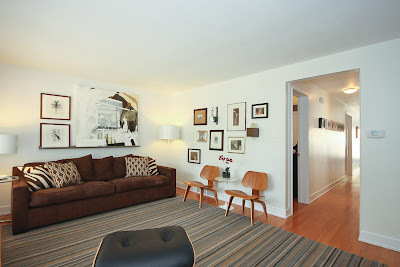 We'll be closing our Andersonville condo listing at 5027 N Hermitage #3 tomorrow. 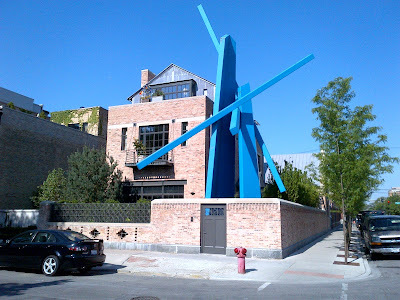 This is a great location to stroll over to the Clark street mecca of dining and retail. The condo looks great but almost more importantly...it's a well run building and condo association. The new owner will love it! Not even the NATO summit could stop us from selling 1020 S Wabash 3E in the Loop... just over a week on the market. You could not even park in front of the unit a few days after we listed due to NATO restrictions. However, savvy buyers were out and nabbed this unique city home in a fantastic location. 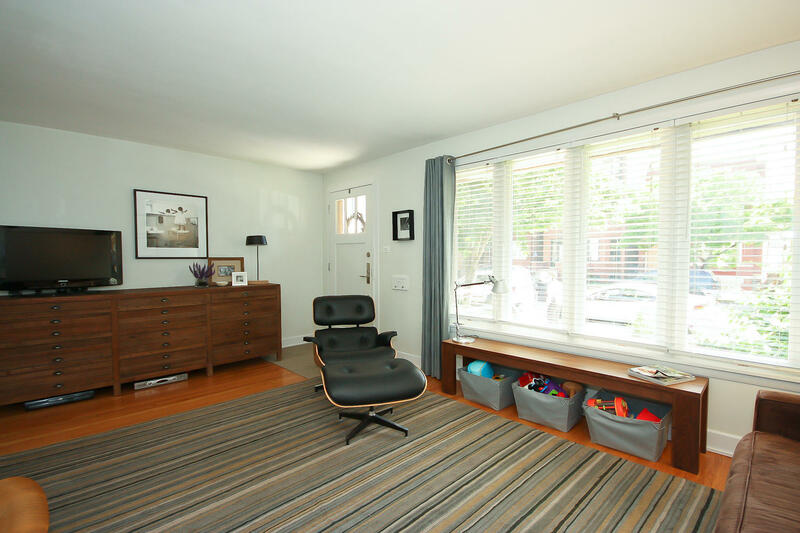 The contract is currently contingent (asking price was $339,000+$25,000 deeded garage parking)... more details after closing. Check out our video of the condo and the location! Bob and I have been writing for a couple years on the uptick in single family homes sales in popular North Side neighborhoods. This year is almost half over and it certainly feels like sales are going to increase again in North Center. 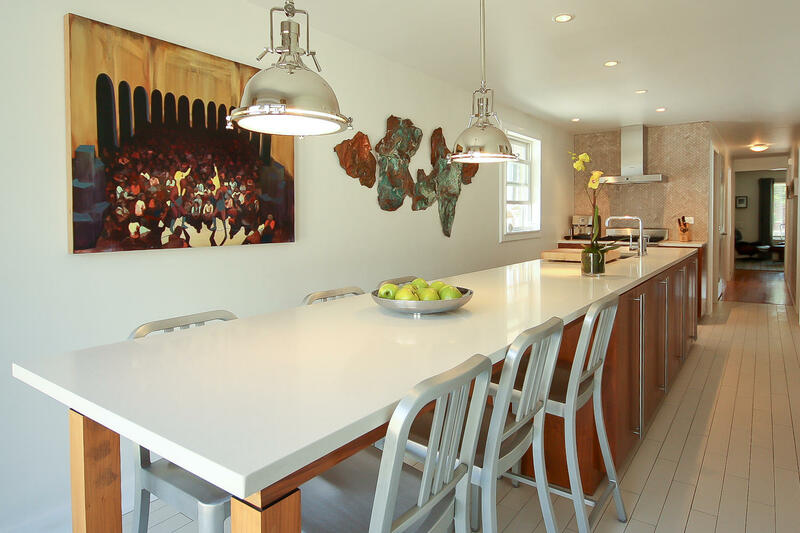 Improved schools (Bell, Coonley, Jahn, Audubon to name several), crazy low mortgage rates, lower listing prices and an increase in gut renovations and new construction homes have fueled the sales. 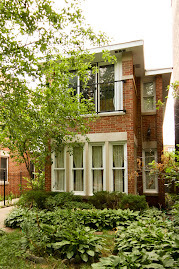 Currently in 2012, 54 single family homes closed in North Center from January 1st to May 29th. That's on pace with the 55 single family home closings during the same time period in 2011. Another 59 single family homes are currently under contract this year at the time of writing. The jury is still out, but the pace at which homes are going under contract leads me to believe we'll have a bigger year in North Center than last years 177 closed homes (a tall order). The median price in 2011 during the same time period was about $780,000 in North Center with 18 of those homes closing over $1 million. This year in 2012, the median price of a sold home is about $725,000 with 17 homes closing over $1 million. 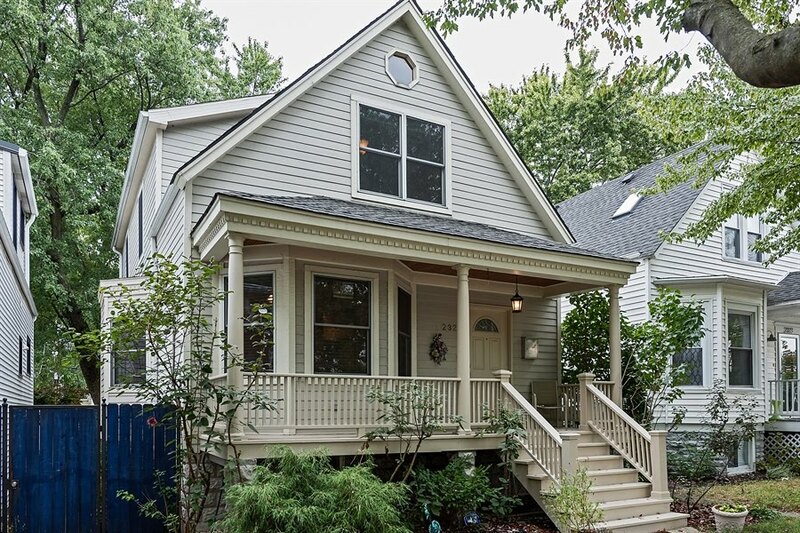 Take a short tour of a move-in ready renovated home in a great Bridgeport location. 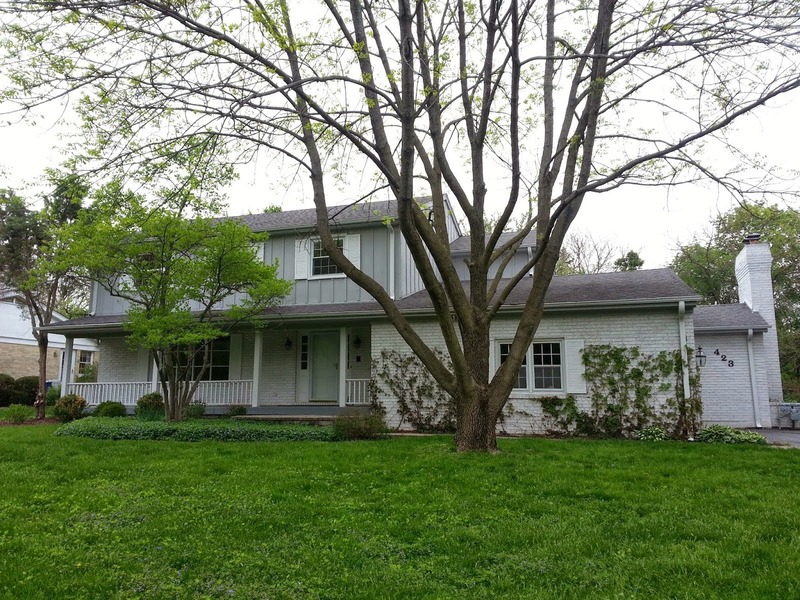 You'll be surprised how easy you can get to downtown, city institutions, parks, the lake and more from this house! Amundsen High School is selecting a new principal. You may attend a public forum to meet the candidates. Amundsen High School is a terrific facility at Winnemac Park offering the rigorous IB Program, sports, arts and several learning communities for our community. Amundsen is the key to quality public education in and around North Center and Lincoln Square. View more information at Winnemac Park Neighbors blog site! Also check out the newly formed Friends of Amundsen...the place for community members to support local education and fund-raising. The Chicago Tribune and other media outlets call us from time to time on trends in the Chicago real estate market. We work with buyers and sellers in several segments of the market and Bob and I are happy to share what we are seeing on the ground. 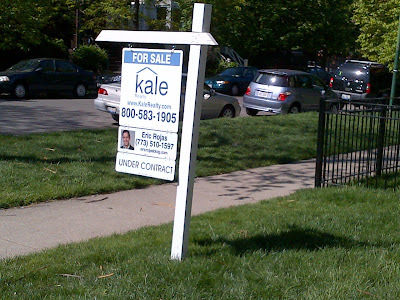 Read my comments in Mary Ellen Podmolik's column on recent home sales here at the Chicago Tribune business section. Are there many free standing single family home sales downtown in the Loop and Near South Side Community Areas of Chicago? I thought this was a good question from a client, so let's see how many. Is there a single family home sale down there... somewhere? A quick look at the MLS (MREDLLC.com) shows about 11 total free standing home sales over the last two years in the Near South Side (excluding row houses with attached side walls). 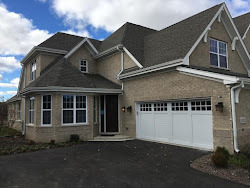 The homes ranged from $657,000 for a frame house on a 24'x100' lot at 1242 S State (a planned single family home development built in 1995) to about $1.5M for a five bedrooms brick home in Dearborn Park II development (now under contract). You can get one just to the south of Roosevelt though...see them back there? 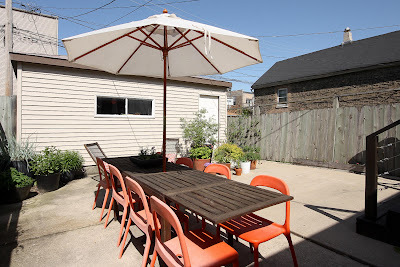 All the closed, free standing homes are located south of Roosevelt Road in the Near South Side Community Area (the South Loop neighborhood) located between the 1200 and 1500 blocks of south State (basically). Of the closed homes, all were on smaller Chicago lots in planned developments built in the 1990s and have small association fees. 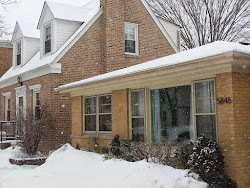 No free standing single family homes (or even row homes) were found closed or for sale on our MLS in the official Loop area (downtown) bounded on west and north by the Chicago River, east by Lake Michigan and south by Roosevelt Road. Looking back at least 4 years, there are NO detached home sales recorded in the MLS for the Loop Community Area. So, no you cannot buy a single family home in the Loop. One of our favorite viewable art installments at Armitage and Burling! This stretch was a little blah...not any more. Bob hit East Lincoln Park/ Old Town Triangle this morning for a final walk-through before our client's closing. 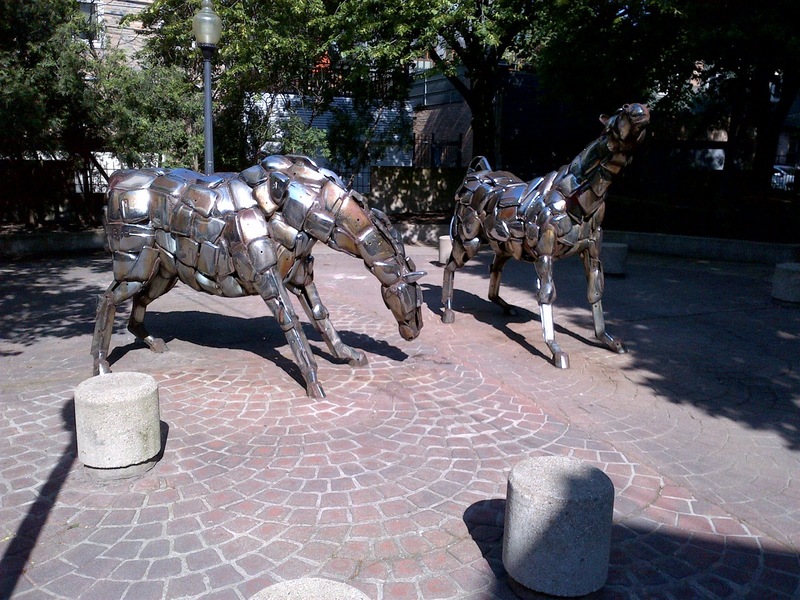 One of our favorite things about Lincoln Park is the public and private art you can view while walking around town. 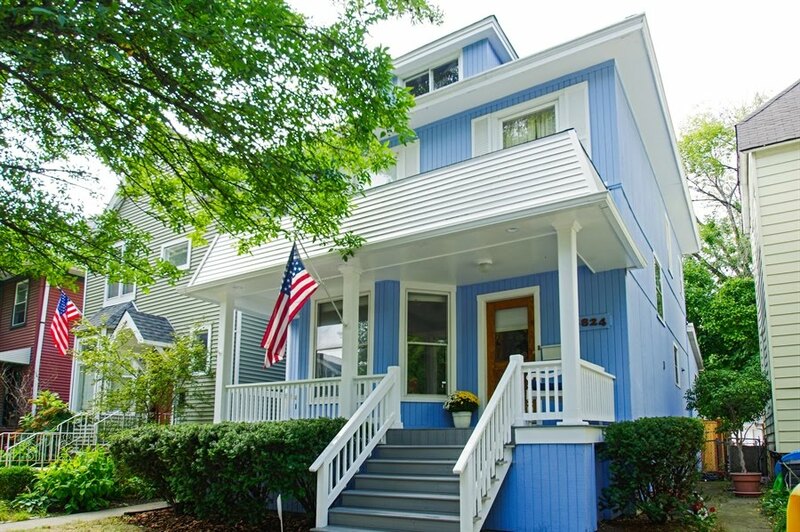 Here's a sneak peek at our new single family home listing at 3134 S Union Avenue in the Bridgeport neighborhood. The convenient location is close to many major employers and attractions such as Illinois Institute of Technology, University of Chicago (and hospitals), the new 31st Street Harbor, Palmisano Park, McGuane Park, U.S Cellular Field and easy to the Loop. Highway access is very good and everyday amenities like groceries and good restaurants are all within a couple blocks. 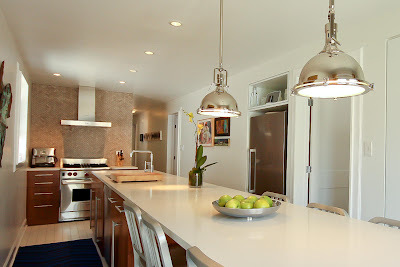 Kitchen was opened up to the patio...awesome indoor/ outdoor entertaining. 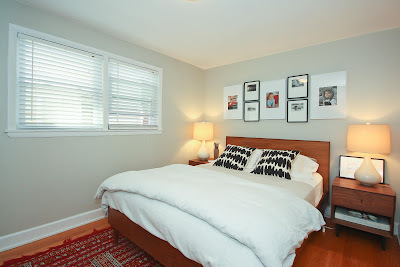 All bedrooms renovated with custom windows, trim and paint. 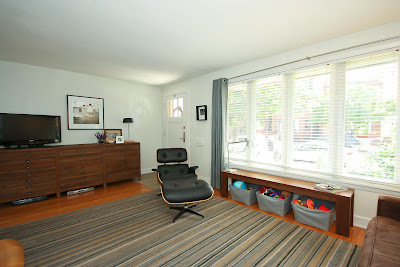 Huge, renovated lower level family room (includes guest room, full bath and laundry room). 3134 S Union Avenue asking $429,000...Architect owned modern renovation. -New blown-open back kitchen wall with double doors to patio...awesome! 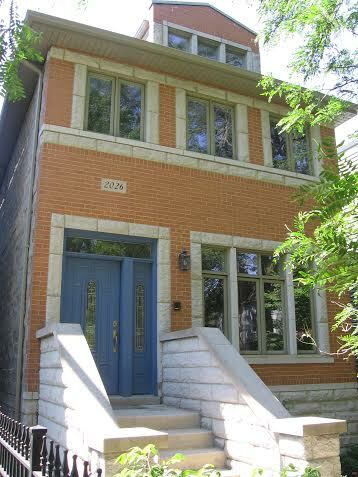 -Renovated basement family room with updated bath, guest room, laundry room and storage rooms. Nothing else like this for the money near downtown! Sunny patio all day. Have your friends and family over! 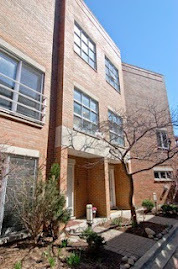 No parking in front of our new South Loop listing here at 1020 Wabash over the NATO Summit! With several of our closings and new home listings for sale in or near the Loop... our real estate business is feeling the affects of the NATO Summit. Some of the title companies are simply not scheduling closings on Monday (which has moved a couple of our closings). We also have to be aware of traffic and parking issues for our South Loop and new Bridgeport listings which would have us heading through the most affected traffic areas. Notify Chicago for emergency updates! Bob and I pride ourselves on professionalism...which includes flexible logistics and keeping on schedule. 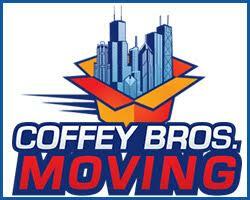 We registered for Notify Chicago to help us with traffic and public transportation issues. 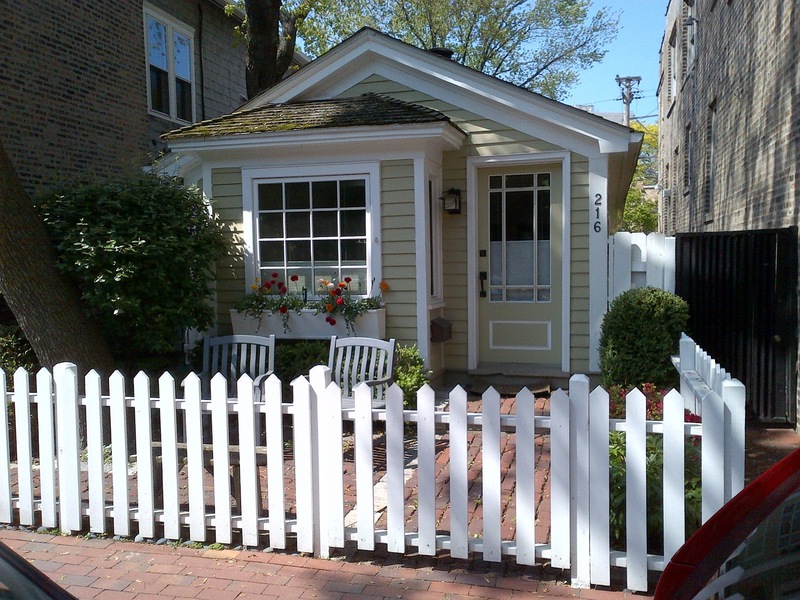 Martha's Vineyard or Old Town? Happy Friday! We were doing some business near Old Town Triangle and snapped a few Blackberry photos. 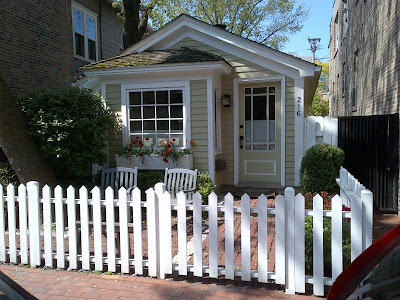 These cottages make life a vacation in one of Chicago's (and the Midwest's) most unique communities! The Triangle is a luxury to be enjoyed. 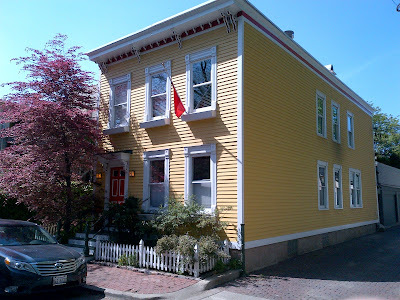 805 Marion Street...attractive house, great block! 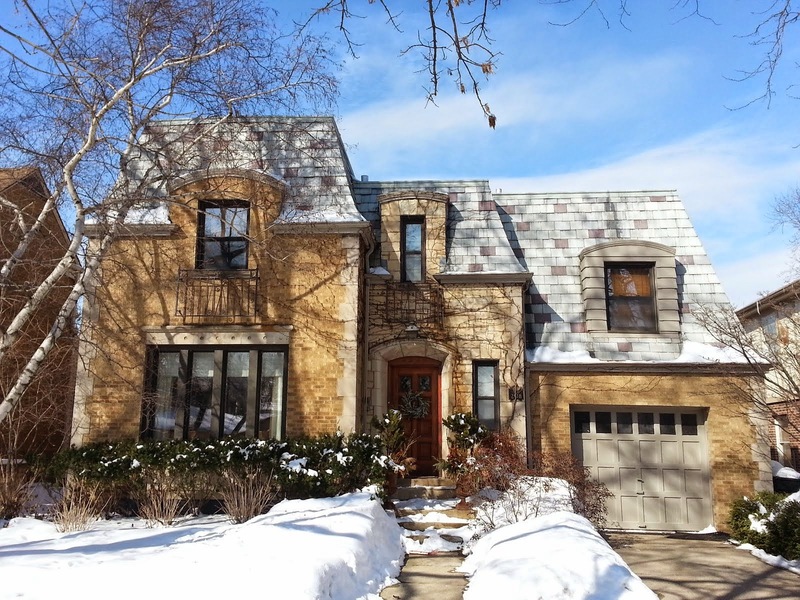 Our first time buyer clients jumped on this northern Oak Park brick beauty located in Horace Mann school district. 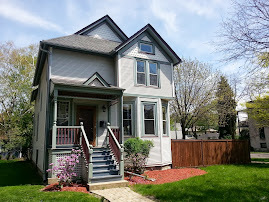 The asking price was $305,000 for this eye catching cottage with many terrific original details, a pretty staircase, good sized bedrooms and bath (a rarity at this price in Oak Park) and serene yard. Congrats, what a great house! 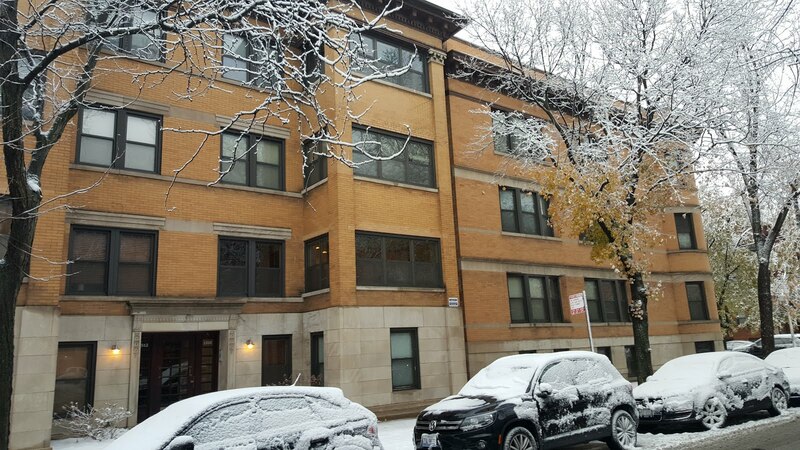 We've been back in the Loop and South Loop quite a bit with buyers and sellers this year. 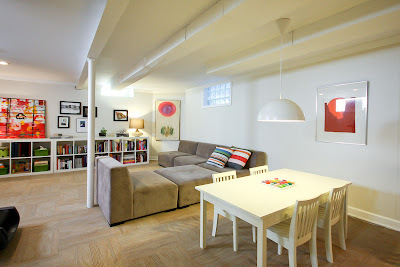 We'll be listing for a sale a unique and large concrete two bedrooms, two baths loft at 1020 S Wabash #3E next week for $339,000 plus $25K for the deeded parking. 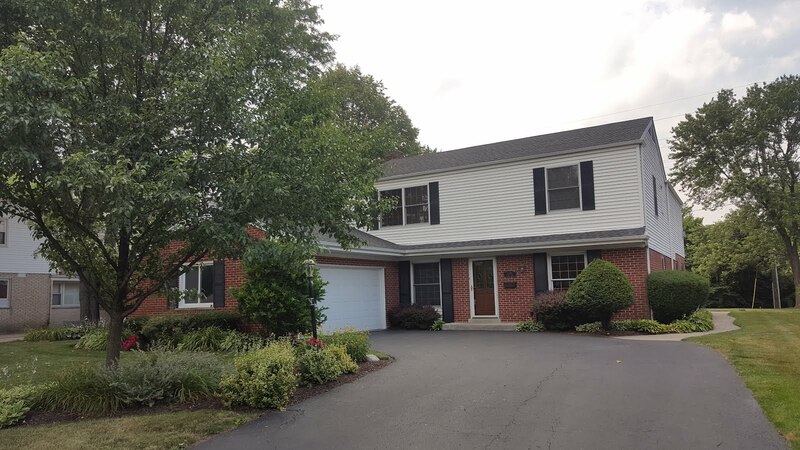 The home features secure entry, elevator, deeded garage parking, awesome corner exposure with large windows, large laundry/storage room. Enjoy a totally new kitchen with Viking Range and convection oven, Bosh dishwasher, pantry cabinet, wine rack and huge island. The huge master suite has a massive walk-in closet and large bath. The building features a large rooftop deck with great lake views. It's a great South Loop location just north of Roosevelt Road. It puts you near the CTA Red Line, Printer's Row, tons of restaurants, Whole Foods, Target, Trader Joe's (at your doorstep), Soldier Field and the gorgeous Museum Campus, short walks to Millennium Park and the Art Institute...the list goes on and on. It will be listed on the MLS next week with photos and videos. 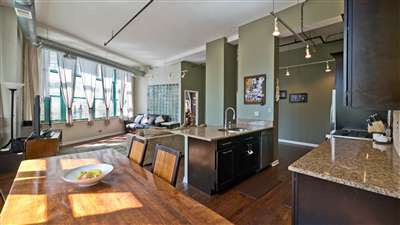 However, if you are a serious buyer looking for a big true South Loop loft, please contact us. We appreciate mortgage pre-approval for all showings or proof of funds for cash buyers. If you have not worked with a lender yet, please contact Loan Officer Steve Dunnett at 1-708-289-3408 for a consultation. Steve's team are long-time professionals. We had some business at the hopping 2 East Oak in the terrific Gold Coast location last month. Here's a view from a high floor in the "04" tier on a beautiful morning in late April. The approximately 304 unit building built in 1969 has primarily one bedroom and studio units. 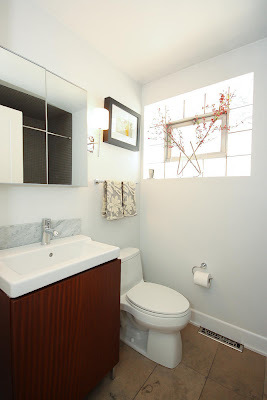 However, there are a spattering of two bedroom homes (one 2 beds, 2 baths unit sold in 2010 for $380,000). Assessment for the one bedrooms units range from $450-$500 and include heat, AC, 24 hour doorman, refinished fitness area, party room, roof top pool and bathrooms (at pool deck level). The pool deck is adequate...the views are GREAT. In the last 12 months about 6 one bedroom condos have sold or are currently under contract with prices ranging from $150,000s to the $190,000s. There are quite a few rental units in the building. The one bedroom rentals range from $1,200 for a dated finish level to $1,650 a month for a renovated unit. A penthouse two bedroom rented in the last 12 months for $2,700 a month. 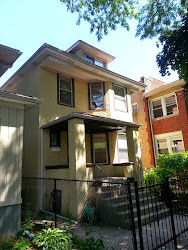 34 units were shown as rented on our MLS alone for the last 12 months (several units are also rented off the MLS). As we speak, about 5 units are for sale on our MLS in 2 East Oak ranging from $109,900 to $229,000. I always try to sit and have a coffee in Mariano Park prior to early morning appointments around Gold Coast. The park offers a top notch people watching opportunity in the evening hours. Our buyer client contemplates a top floor condo on Bosworth with a full roof deck last weekend. The view (from Bosworth and Diversey) was good even on a very hazy day. The photo makes the downtown skyline look farther than it is. 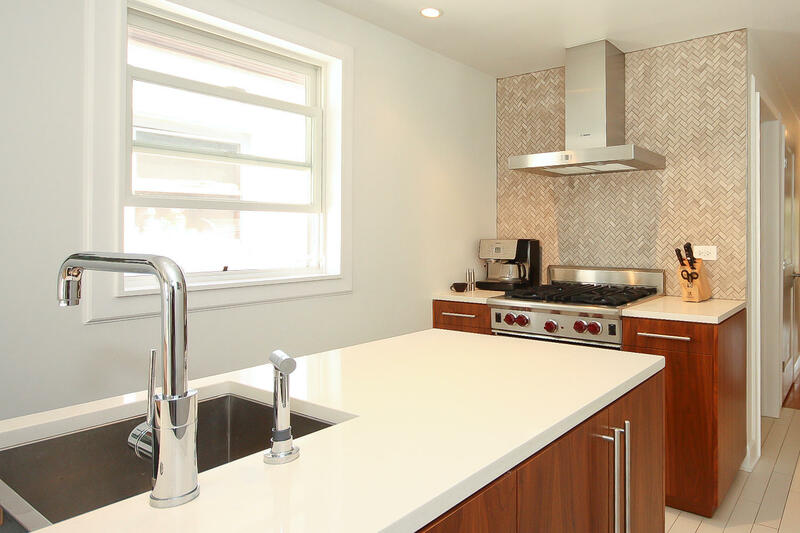 Two bedroom, two bath modern build condos with full roof decks are selling in the $425,000-$600,000 depending on year built, finish level and location (eastern or western Lincoln Park). However, that lower end is much more attainable for nice units this season. New construction - even though virtually the same as many recent build re-sale units, still get a premium of 10% or more. 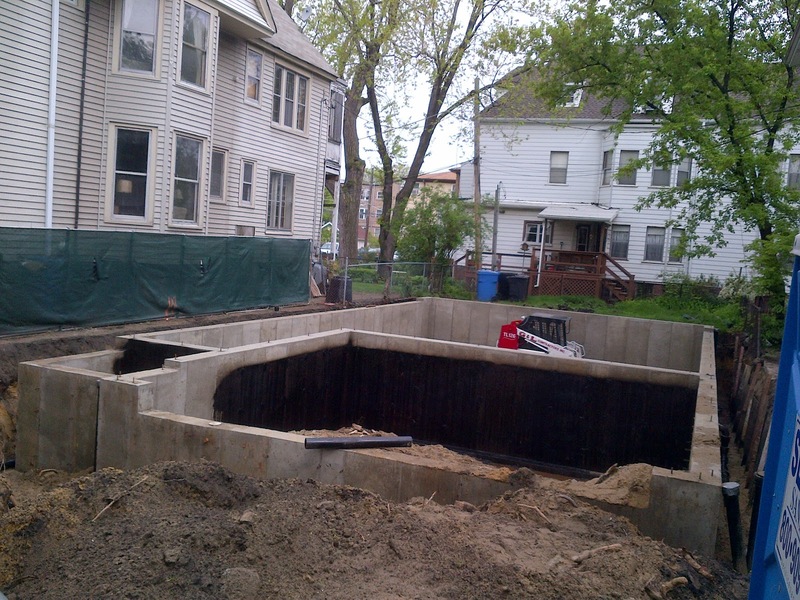 The latest addition to Lincoln Square new construction is going up at 2104 W Sunnyside on a 35' wide by 100' long lot. The original home that was just torn down did not have parking (the lot is "landlocked" with no driveway or alley access). However, it's a good bet the property developer received permission for a "curb cut" to add a side drive for parking and a garage. The new construction on this interesting landlocked lot is a bit unique. This stretch of Sunnyside leading up to the heart of Lincoln Square activities has not been over-wrought with new construction. A majority of original homes exist from Damen Avenue to Lincoln Avenue. New construction homes have been very popular in this small area of Lincoln Square near the retail strip, Welles Park and Sulzer Library over the last couple years. 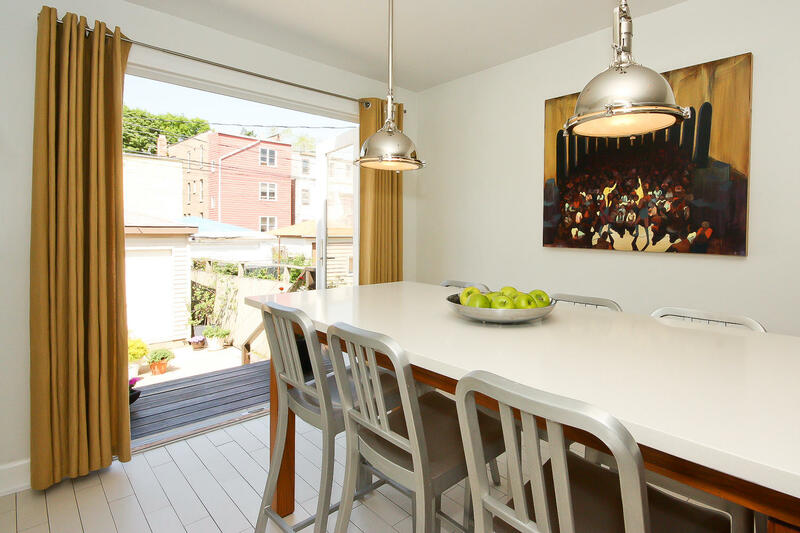 This gorgeous property on the 800 block of West Webster Avenue in Lincoln Park improves on its grand addition. We were showing a town house on the block and noticed some work being done on this luxury house. 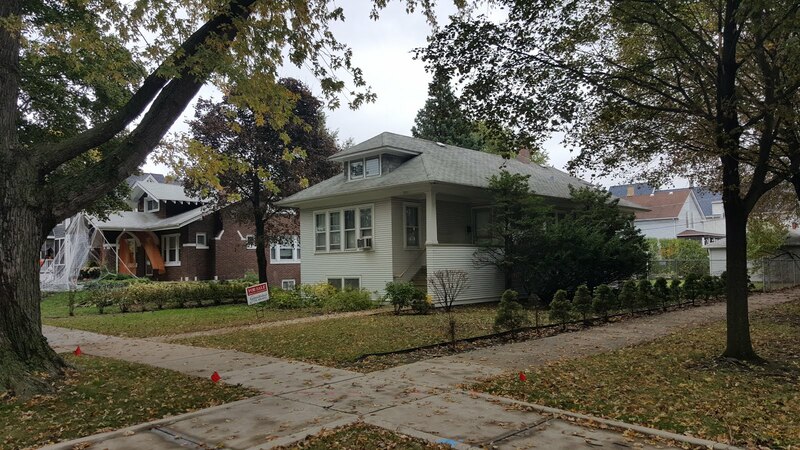 The west side of the property overlooks the double wide lot.You can have it all...beautiful vintage look preserving the architecture of Lincoln Park with modern, spacious amenity. Great block, even greater house. The west side and rear additions to the property. View of the property and side yard. The 800 block of West Webster currently has 3 properties for sale. 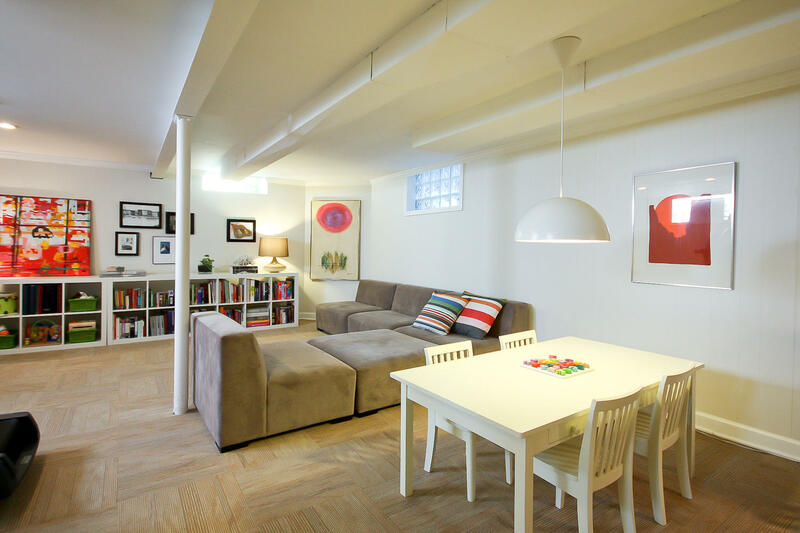 There are two single family homes for sale (824 W Webster a 2002 new construction asking $2,795,000 and 842 W Webster a 2008 gut renovation of a two flat asking $2,295,000). 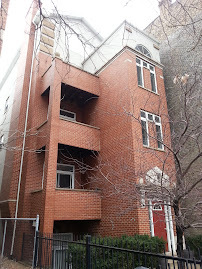 One town house is listed for sale at 811 W Webster asking $435,000. We showed the quirky three bedroom town house with good outdoor space...needs a gut rehab but the location would allow for the investment. Packed house for the tours! Last Saturday our family toured the new Children's Memorial Hospital as part of the Employee, Physician and Volunteer Open House (newly named Ann & Robert H.Lurie Children's Hospital). 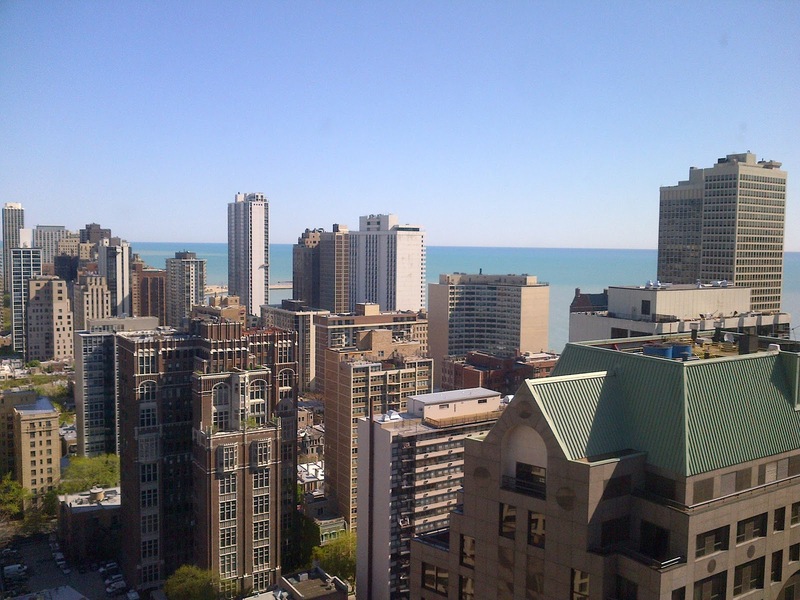 The new Streeterville location is at 225 East Chicago Ave. Here's a few photos from the day...wish I got more. It was a really well run event and probably emotional for the many employees who have been both doing their jobs at Children's and planning the new hospital move (not to name names, but like my wife Jillian, both an RN and Director of out-patient clinics). The views are great, but hopefully you will never have to see them from these rooms!